Bombard Renewable Energy chose Yaskawa – Solectria Solar’s SGI XTM utility-scale inverters and SolrenView monitoring for a 17.5-MW community solar installation in the Mojave Desert town of Pahrump, Nev. The project is an undertaking by the Valley Electric Association (VEA), a member owned non-profit electric cooperative. Bombard Renewable Energy is the engineering, procurement and construction (EPC) company for the 17.5-MW site which spans 80 acres and utilizes all U.S.-made products including SolarWorld modules and Solar FlexRack racking. This PV system is unique in that it involved working closely with the U.S. Fish and Wildlife Service to design an innovative system that had the lowest impact on the endangered Desert Tortoise and its sensitive habitat. “It was very important for this project to use U.S.-manufactured products only. 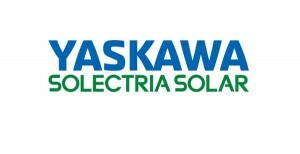 Yaskawa – Solectria Solar has been manufacturing their inverters in the U.S. since 2005 and has vast experience delivering successful projects. This experience, their strong balance sheet and responsive service team were extremely important during our decision-making process. We have the utmost confidence in the performance of their inverters,” said Bo Balzar, Division Manager at Bombard Renewable Energy. “Yaskawa – Solectria Solar is proud to be part of this innovative PV system that not only uses all U.S.-made products, but is also built to minimize impact to the endangered tortoises. It proves that manufacturers, EPC, utilities and public agencies can work together on projects that influence various facets of sustainability. Bombard is a great customer and did an excellent job with this design,” said Mark Goodreau, Director of Sales at Yaskawa – Solectria Solar. VEA has a fixed-rate power purchase agreement (PPA) with Nevada Valley Solar Solutions, LLC, that will operate the PV system and sell the energy to the VEA. In turn, the VEA will provide the cooperative with one of the lowest-priced solar energy rates in the nation. Over 25 years, the PV system will produce over 817,000,000 kWh of electricity which is equivalent to 14.5 million mature trees being planted, replacing 1.3 million barrels of oil and removing 1.3 billion cars from the road.